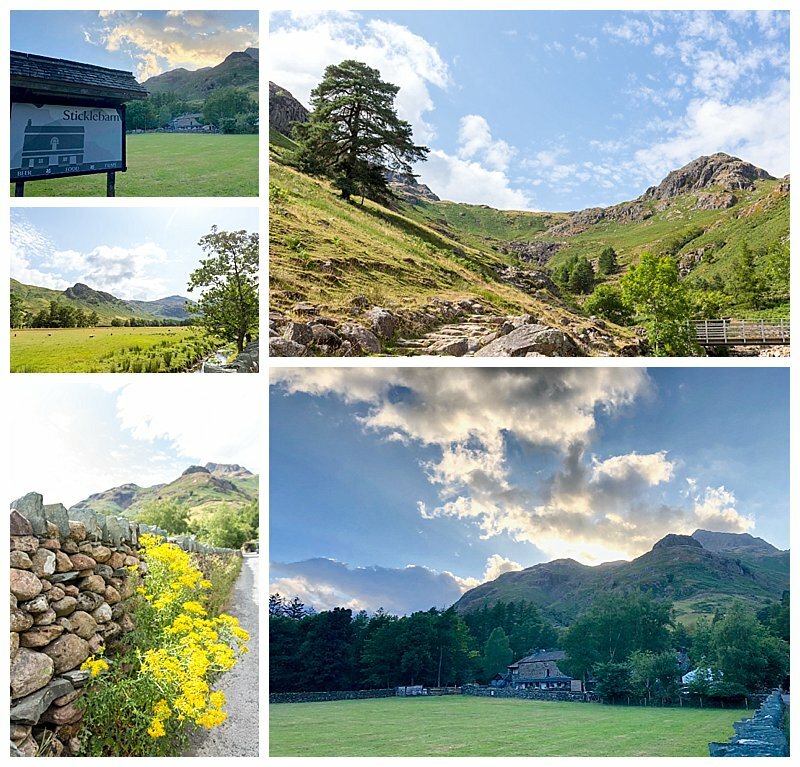 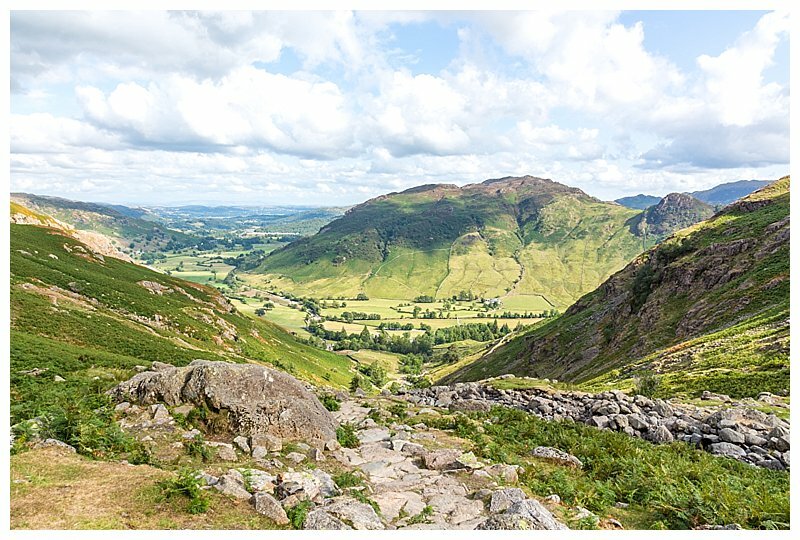 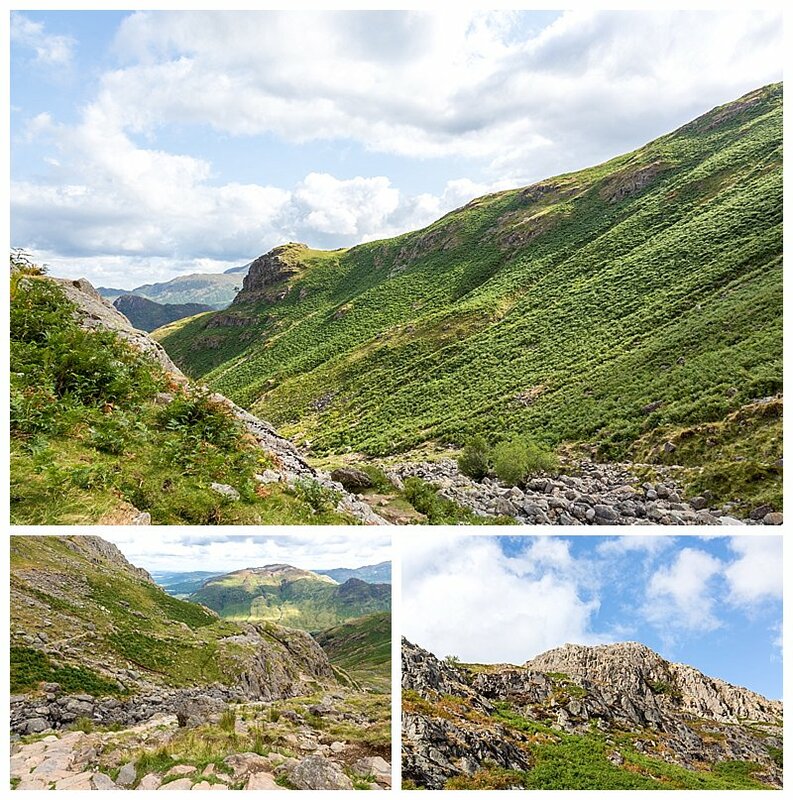 Starting from Millbeck in Great Langdale, the walk to Stickle Tarn is really worth the effort even if only for the views. 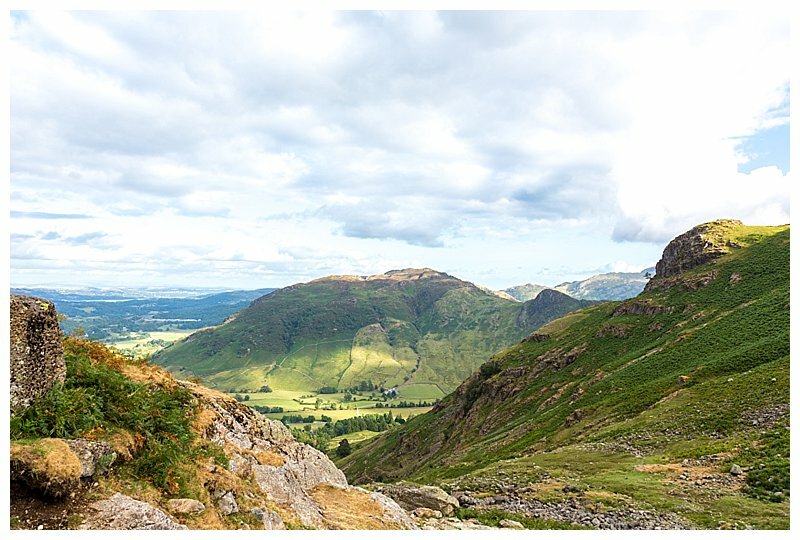 They are stunning. 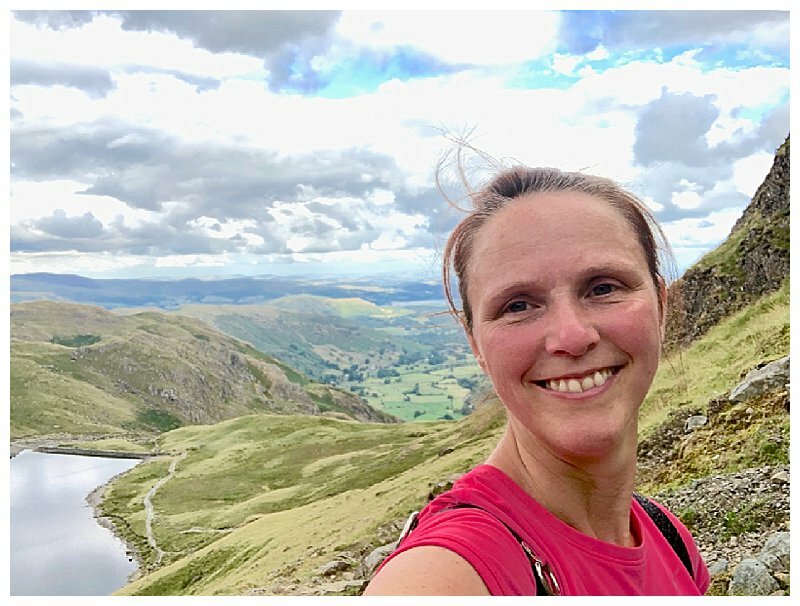 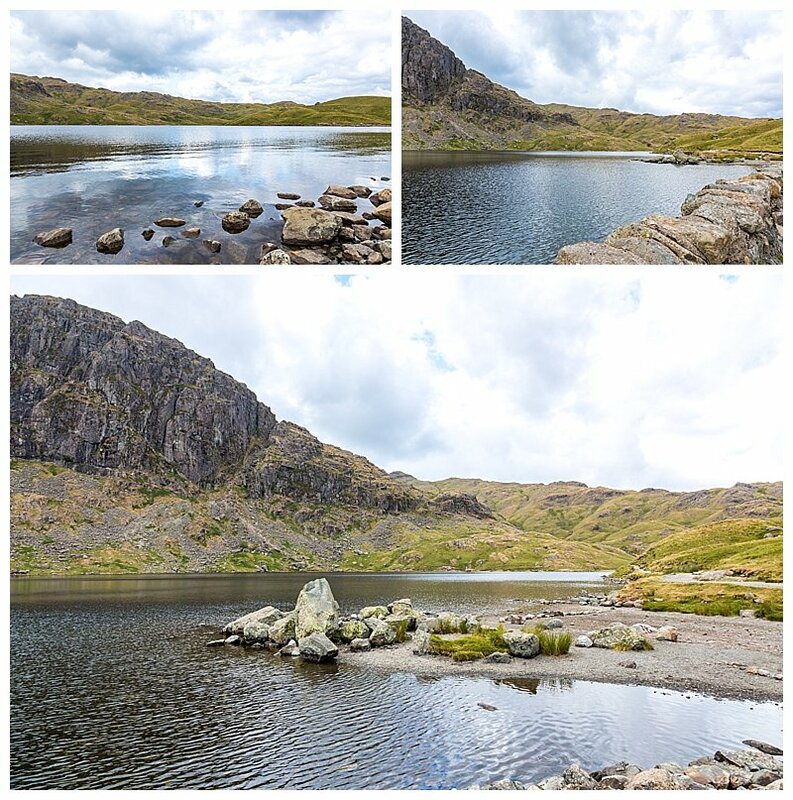 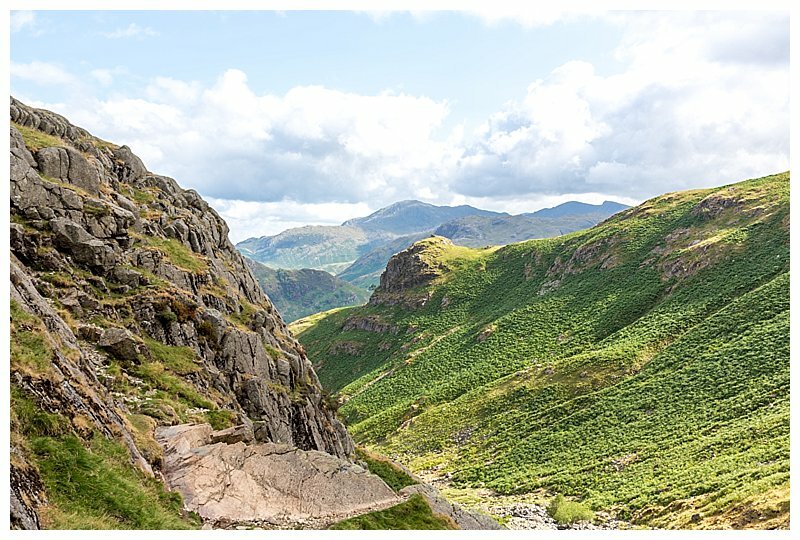 Climbing the stones steps along the pathway carved into the dramatic slopes of the landscape, you ascend to the height of 470m and are rewarded with the glistening water of Stickle Tarn. 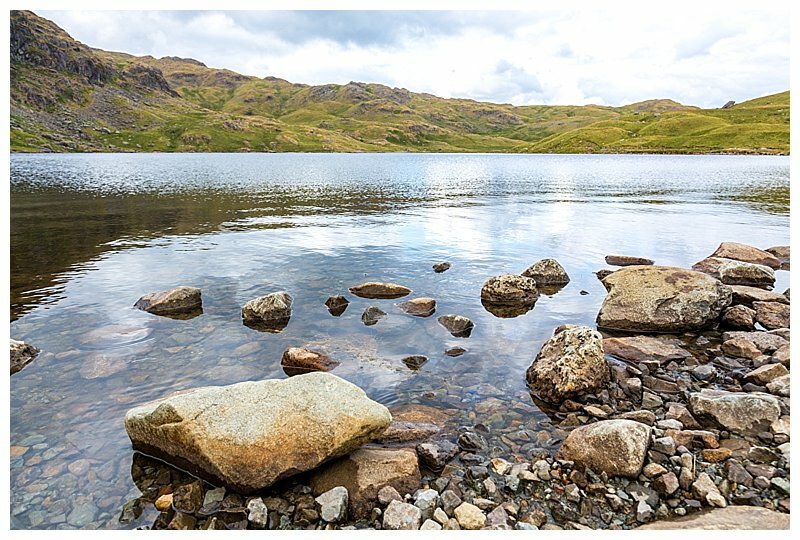 Along the way you pass plunge pools of clear aqua water that look so inviting and Herdwick sheep sauntering along eating their way across the hills. 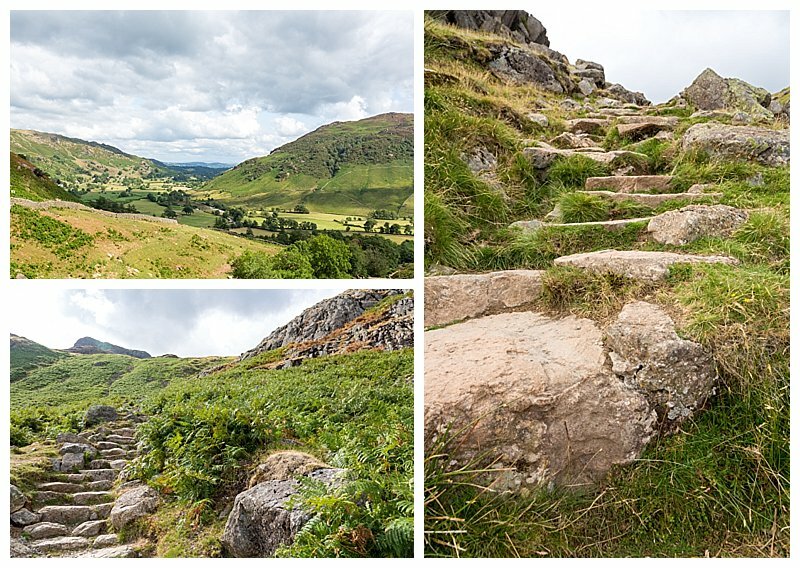 The path is easy to follow and with only a couple of bits to scramble over, you will find many people along it at all times of the day. 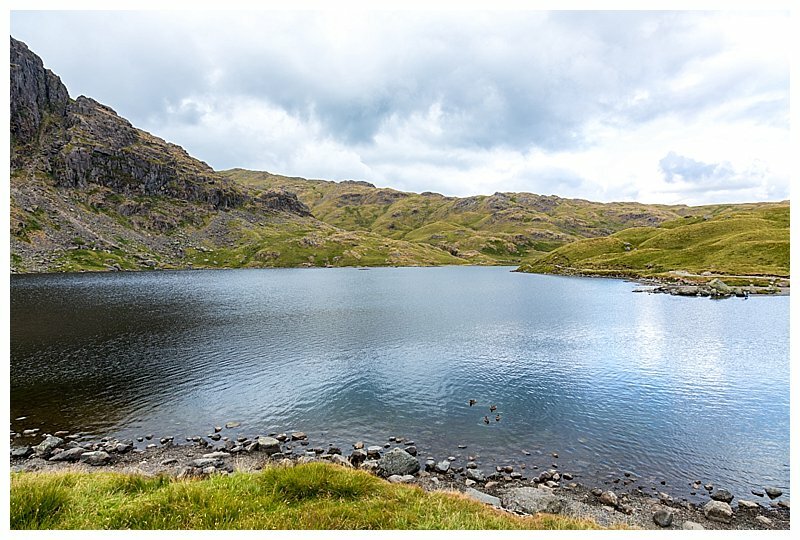 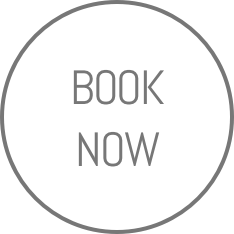 Upon reaching Stickle Tarn, you can choose to walk a path around it, or continue along a trail up to the Wainwright of Harrison Stickle. 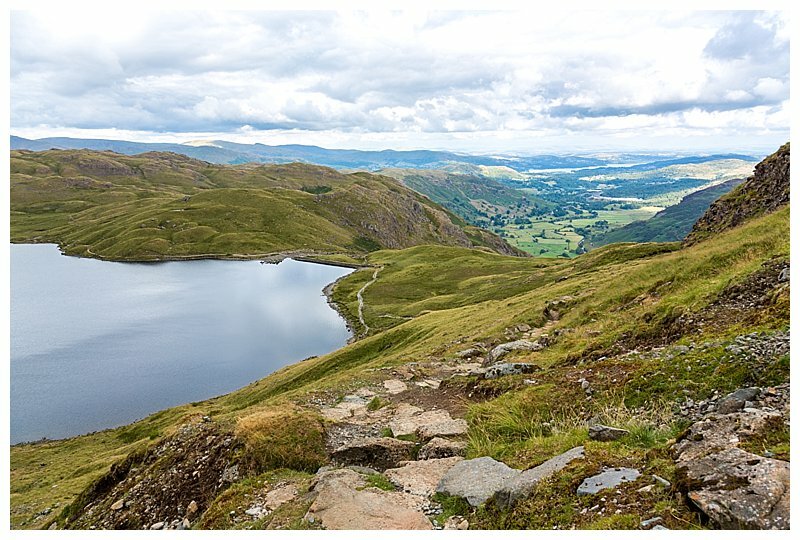 Even just walking a little further up this section gives you a stunning view over the tarn and across to Lake Windermere. 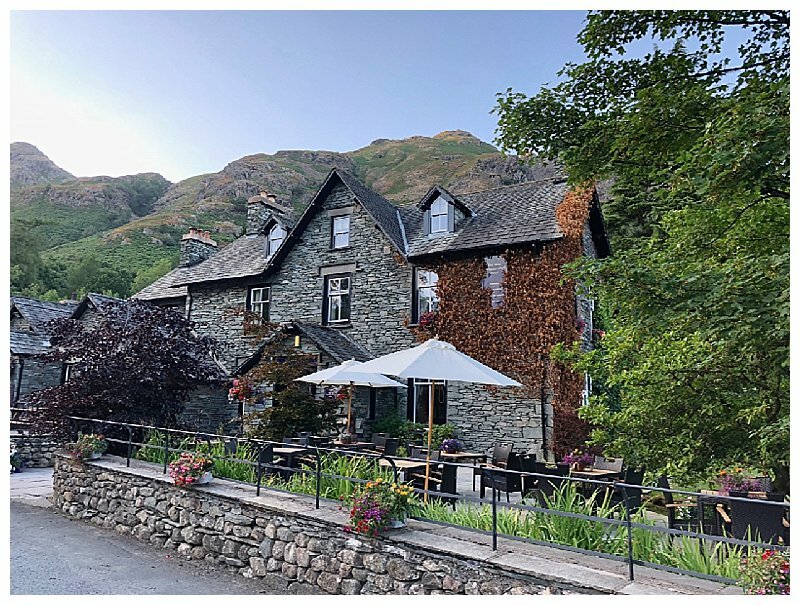 The reward on your return to the base are two great hotels serving food and drink with a fabulous view. 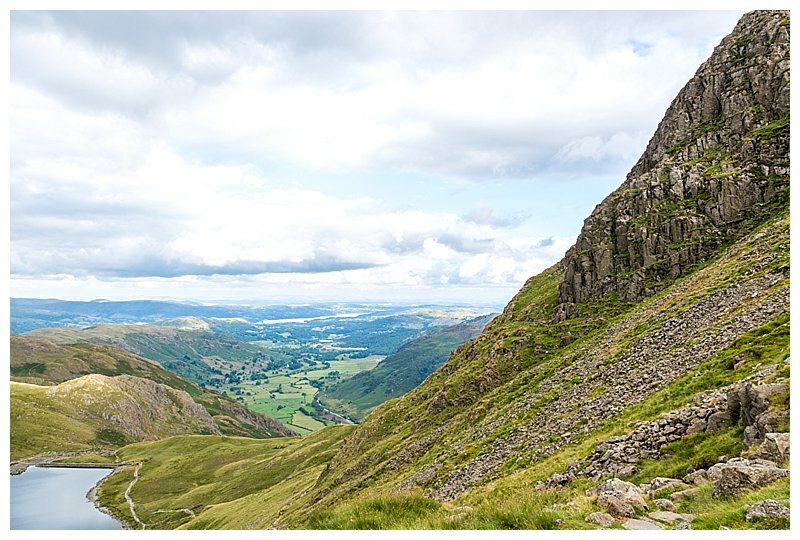 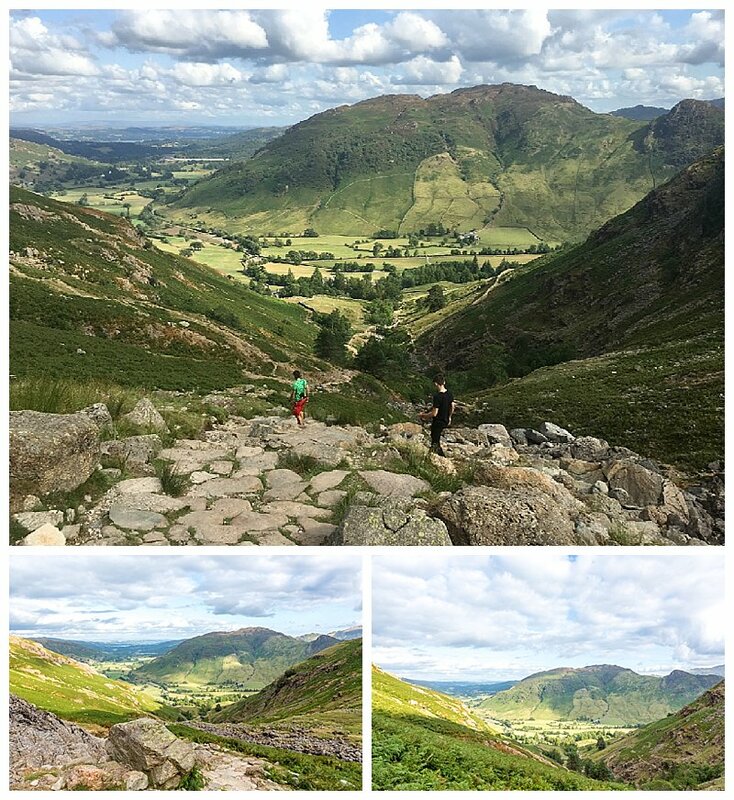 What’s better than a summer’s evening climb followed by a drink in the scenery of the Lake District.